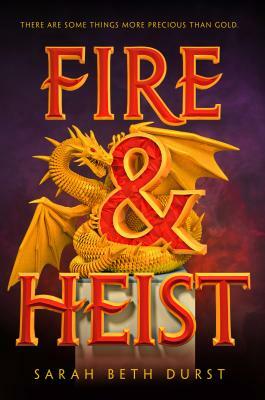 Filled with snark, magic, and above all the most important heist of Sky Hawkins's life, Fire and Heist is a fun read that honors the importance of family and friendship. This adventure whisks you along on a journey where secrets are uncovered and an unlikely crew could be the key to saving everything Sky lost when her mother disappeared on a heist gone wrong. Durst’s writing is fun and fast-paced giving readers an adventure that speaks to the dreamer in all of us. There is nothing you can’t do when you embrace yourself, whether it be pulling off your first heist and showing society what’s what (though maybe leave that to the fictional characters) to spreading your wings and becoming who you’re meant to be. Did I mention there were fire breathing teenagers…. hoards of gold….. and dragons!